All boat trips in the historical inner city of Bruges take place on the same fixed course, imposed by the city government. They take about 30 minutes. There is no eating or drinking allowed on board. 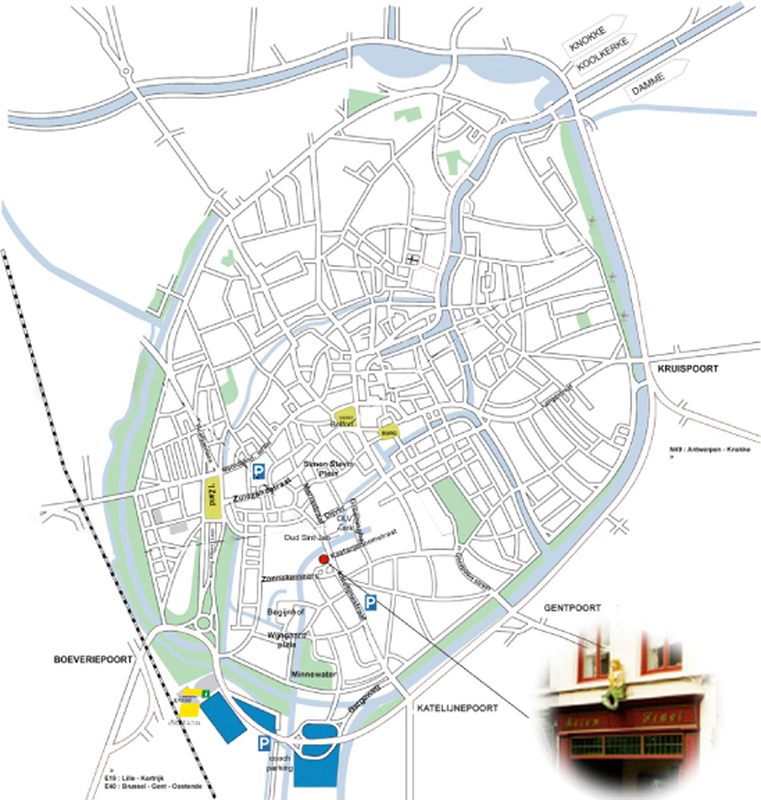 Our starting point is located in the Katelijnestraat 4, which is also the end point of the cruise. Our hours of operation for individual round trips or cruises with the family are from 10 am until 5 pm, with departures roughly every 15 minutes. Reservation is only possible for groups from 25 persons and up. In this case we work with set departure times. Our mooring place is located at the Katelijnestraat 4 in Bruges, right next to Saint John's Hospital and the Church of Our Lady. Our course takes you along the most scenic spots in Bruges. You get to see the most famous places of interest from a totaly different perspective.